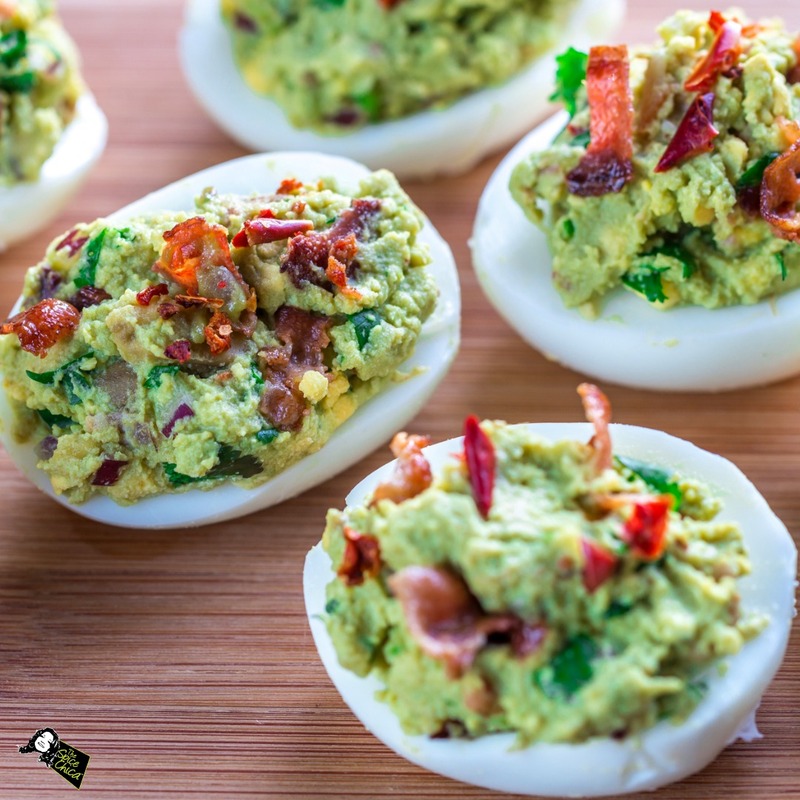 The perfect keto appetizer – Full of delicious healthy fats. They will keep you full for hours. Slice the eggs in half, pop the yolks out into a large mixing bowl and fork mash. To the mixing bowl, add the bacon, avocado, salsa, garlic, lime juice, onion, salt, and cayenne pepper. Mash, and mix until all ingredients are well incorporated. Put mixture into a piping bag or a resealable plastic bag. Squeeze the mixture to one corner of the bag and snip off the corner of the bag. Use this to pipe the mixture back into the egg halves. Top each egg with remaining bacon. TIPS: how toboil hard-boiled eggs. Place the eggs in a large sauce pan with cold water. Add enough water that the eggs are fully submerged. Over high heat bring the water to a rolling boil. Once the water is boiling, remove the pan from the heat, cover and let sit for 12 minutes. Run cold water over the eggs and peel.